Just a little off balance? Bring it back. 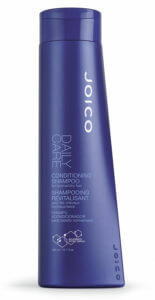 bring normal-to-dry and normal-to-oily hair back into healthy, beautiful balance. We love the versatility of our Daily Care Conditioning Shampoo—you can actually leave it in or rinse it out, depending on how much moisture you’re seeking. (And even then, it will never weigh hair down or cause a case of the greasies).